We were all sad to see Ginger Lynn leave the adult screen for the final time a few years ago, but she still has her stories. One made so interesting by recent events, that she decided now to be the time to relinquish it. Charlie Sheen was officially fired from “Two and A Half Men” yesterday, and his unfortunate downward spirals have been less than humorous for Ginger. Why? 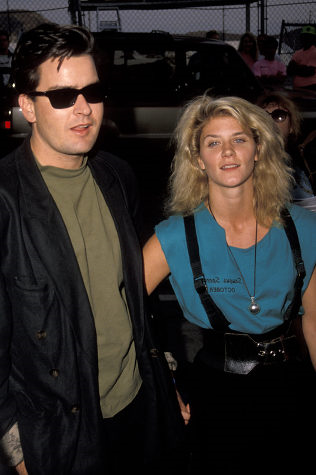 Over fifteen years ago Ginger Lynn and Charlie Sheen enjoyed a sultry love affair. During the “Platoon” days of Sheen’s career, Ginger and Charlie’s relationship scorched the streets of Hollywood much the same as his new found relationship with adult starlet, Bree Olson. Ginger had nothing but loving remarks and good wishes for Charlie Sheen when asked her opinion on his recent behavior. “I do want him to be healthy and happy,” Lynn stated. When asked about Sheen’s history of reported violence toward women, Lynn’s comments did not reciprocate public opinion whatsoever. Let’s all hope Ginger Lynn knows more about Charlie Sheen than his actions make known.